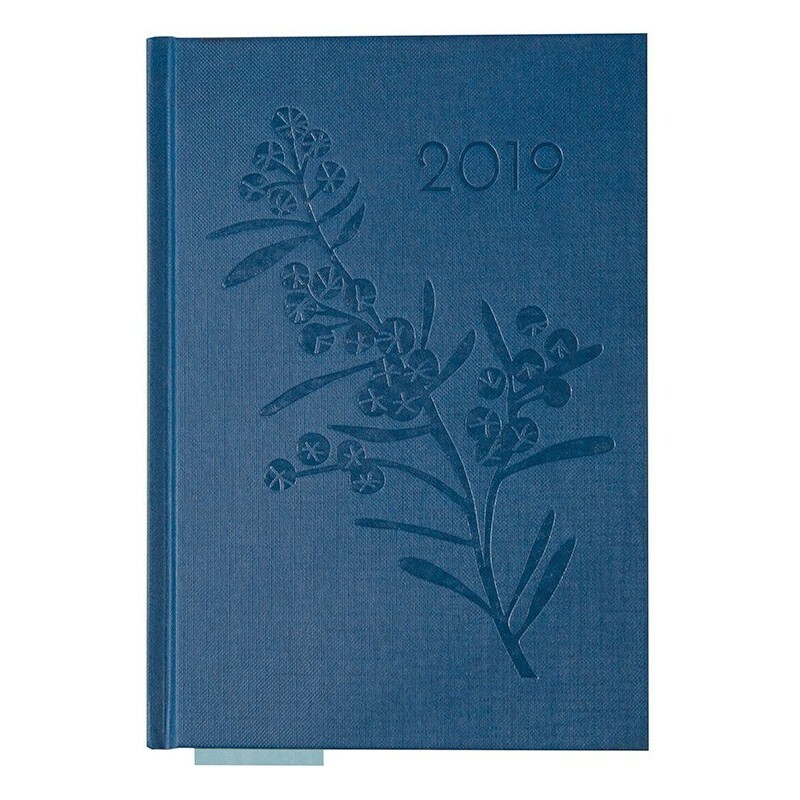 This 2019 diary is made from 100% post-consumer recycled paper, and features weekly planning pages and individual calendars for each month. 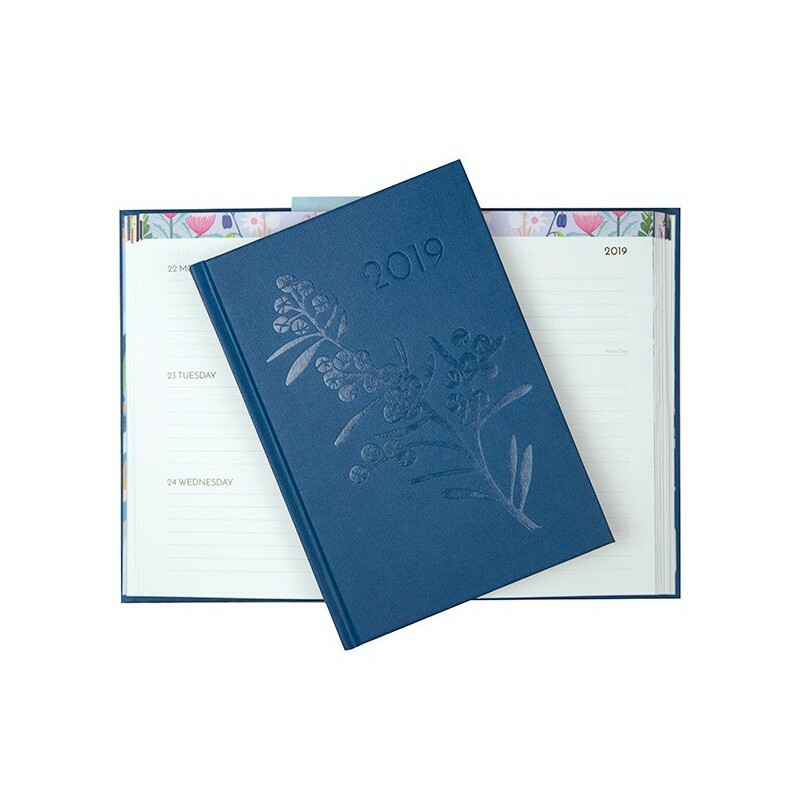 The diary also contains contacts and birthday pages, space for goal setting before every month, and lined and blank pages for notes and sketching. Artworks by Australian artist Claire Ishino feature throughout. Earth Greetings offsets their carbon emissions by providing native species reforestations in one of Australia's biodiversity hotspots. Made in Australia by a great small business that is shining the light for sustainable paper production. 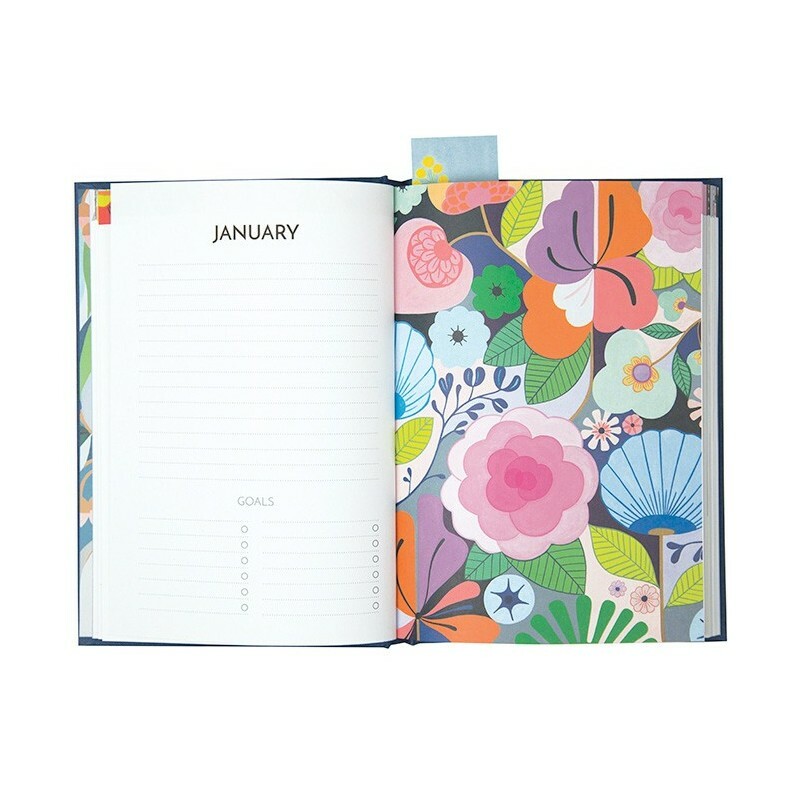 Year-at-a-glance pages for 2019 and 2020. 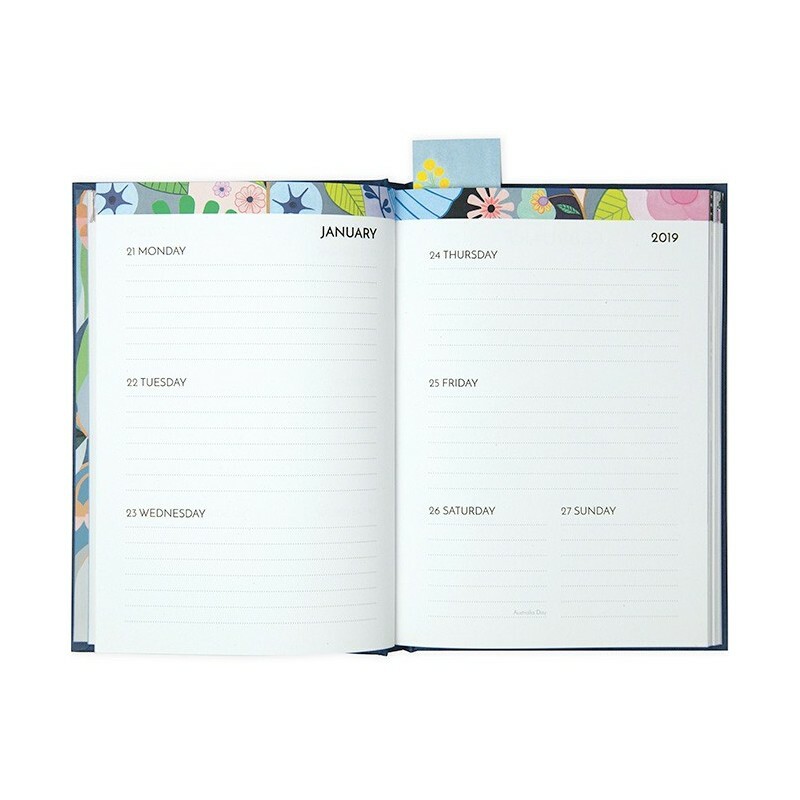 Contacts and birthday pages at the end of the diary, followed by blank pages for notes and sketching. Bookmark for holding your place. 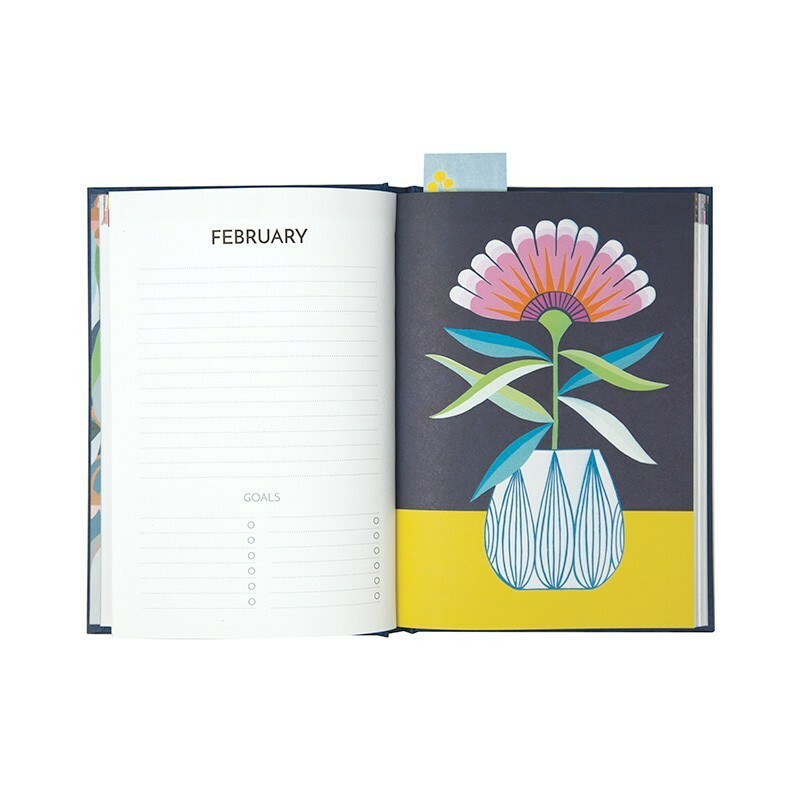 Colourful, floral artworks by Adelaide-based artist Claire Ishino feature throughout. A5 Size: 22cm high x 15.5cm wide x 1.8cm deep. Inner pages produced with vegetable based ink on 100% post-consumer recycled paper. Cover is bound with vegan glue and made from a textured paper called Wibalin. 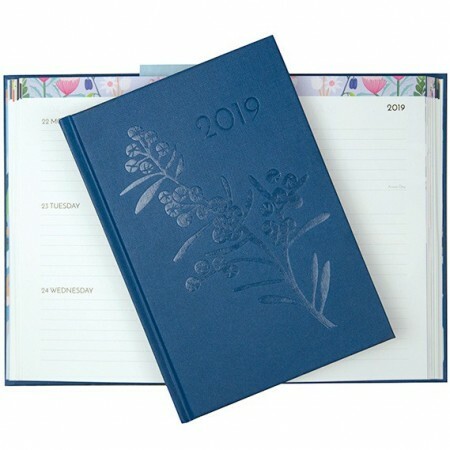 Browse our other 2019 diaries and calendars. Fantastic lay out, beautiful design and artwork. Love it!